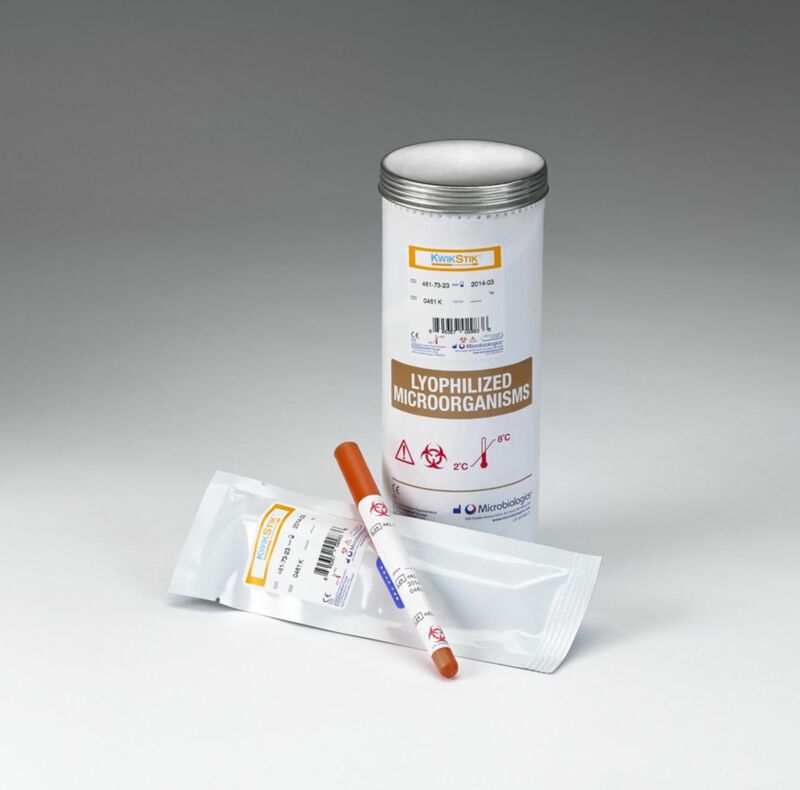 Each KWIK-STIK™ device features a single QC microorganism strain in a lyophilized pellet, a reservoir of hydrating fluid, and an inoculating swab. For added convenience, a peel-off identification label is included for easy documentation. Certifications: The KWIK-STIK™ falls under the category of In-Vitro Diagnostics Medical Devices Directives for CE Mark Conformity. This product is also listed with the FDA. 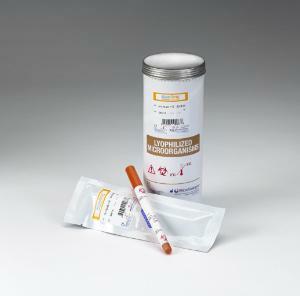 Ordering information: To receive this product, customers must have a valid ATCC End User Licensing Agreement in place with Microbiologics. Registration for this agreement is only required once, per location during the first order. Instructions for how to register can be downloaded from the vwr.com product page. Go to the "Related Information" box, click on "Additional Product Details", then "Instructions for End User Registration with Microbiologics". The ATCC Licensed Derivative Emblem, the ATCC Licensed Derivative word mark, and the ATCC catalog marks are trademarks of ATCC. Microbiologics Inc. is licensed to use these trademarks and to sell products derived from ATCC® cultures.